A growing number of parents are refusing to get their kids vaccinated, especially in wealthier and more highly educated pockets of the country, according to 2018 data from Blue Cross Blue Shield. The Nassau-Suffolk area on Long Island, New York — home to some of the wealthiest neighborhoods in the state — has the highest percentage of parents refusing to have their children vaccinated in the country. In that metro area, 14.2 percent of parents refused to give their infants at least one vaccine, the data show. The national refusal rate is 3.3 percent. Two other New York metropolitan areas, including New York City, round out the top three areas of the U.S. with the highest rates of refusal. Doctors say vaccines are the best way to protect against dangerous and sometimes deadly diseases such as measles and tetanus, yet some people refuse to get them. Some parents cite religious reasons for refusing to vaccinate their children. Others rely on inaccurate reports that claim vaccines cause autism. Public health officials are increasingly alarmed by the number of so-called “anti-vaxxers,” especially amid what’s shaping up to be one of the worst measles outbreaks in years. 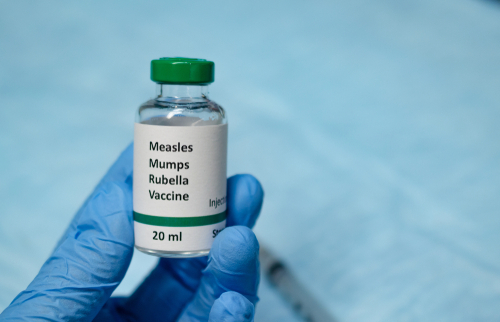 The Centers for Disease Control and Prevention has identified six measles outbreaks in the country right now, with two in New York state. More than 310 cases have been reported in the U.S. so far this year, compared with 372 for all of 2018, the CDC said.